European Satellite and Fixed Wireless ISP Bigblu has revealed that they’re planning to launch a new a “fibre like service from the sky,” which will start from the middle of 2020 with broadband speeds of up to 100Mbps and “unlimited data allowances” across the UK and several other European countries. At present the fastest UK residential Satellite package that you can purchase from BBB is their Konnect gold unlimited plan, which is technically capable of a 50Mbps peak download rate but is advertised alongside average speeds of 36Mbps (costing from £69.99 per month). The plan includes a 100GB monthly “Priority Data Allowance,” which can throttle your speeds at peak (busy) times if you go above this allowance. 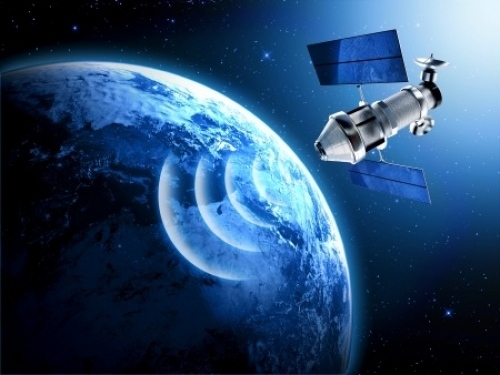 However a new batch of Geostationary Orbit (GEO) based Satellites are in the process of being built by both of BBBs primary suppliers, ViaSat and Eutelsat. Both of those operators have already talked about their next generation of spacecraft being “ultrafast broadband” capable and BBB’s latest results update finally gives us some indication of when to expect the first packages. From the middle of 2020, BBB expects to be able to offer a “fibre like service” with 100Mbps downloads and unlimited data allowances across key European markets. Furthermore, from 2021, they also expect to be offering their customers between 200Mbps and 300Mbps download speeds. Sadly the upload rates weren’t mentioned. “The Company has positioned itself at the forefront of the alternative super-fast broadband industry. Our technology agnostic approach, growing product base and expanded routes to market mean we are now one of the largest and most recognised companies in the industry. Importantly for our shareholders, we have now established a compelling value proposition for end users, whilst also commanding a strong position within the industry to attract new and exciting commercial partnerships. Looking forward to 2019 and beyond, we see plenty of scope to take advantage of global growth opportunities including, but not limited to, launching new super-fast satellite broadband services within the European arena, rolling-out next-generation fixed wireless networks and further growth across Australia. Importantly, sales through our industry leading partnership agreement with EBB is now gaining significant traction despite the operational issues encountered during the first half of 2018, which were outside of our control. The current trading period has started positively, with the Company adding more than 3,000 net new customers organically during the first three months of the current year, which is ahead of the organic growth achieved for the 12 months ended 30 November 2018. As ever the proof will be in the pudding, although it’s worth remembering that BBB also faces growing competition from a new generation of Low Earth Orbit (LEO) based mega constellations, primarily via companies like SpaceX and OneWeb. By positioning their smaller spacecraft in a significantly lower orbit, the new LEO networks will be able to deliver strong coverage and faster latency times (i.e. more akin to older fixed line connections in the 25-35ms range vs 300-800ms for digital GEOs). We’re also expecting these to deliver similar ultrafast speeds and flexible data allowances, but our judgement is reserved until we see the first packages. Meanwhile fixed line infrastructure is very slowly inching toward a multi-Gigabit capable “full fibre” (FTTP) future and the next generation of 5G mobile networks are expected to complement that change. Nevertheless there will always be some remote areas where only Satellite can go and thus the better those options become, the happier consumers will be. I’ve yet to see any balloon (HAB) based broadband network take off commercially (no pun intended.. well, maybe a little) due to being even more tedious to control and predict, except maybe for event or emergency coverage. Similarly drone based wireless/mobile connectivity is generally aimed more at short-term / emergency coverage (EE can already do this in areas where mobile connectivity has gone down) and doesn’t seem like a viable option for permanent broadband networks.